Phyllis Marian Williams was born in Julesburg, Colorado, January 29, 1929, the first of five children born to Alvin and Helen Williams. Phyllis passed away on March 10, 2019 surrounded by family and loved ones. The Williams family moved to Sheridan, Oregon in 1935. Phyllis attended school in Sheridan, graduating from Sheridan High School in 1947. While attending school, she met DeArmond Bockes, the love of her life. They were married November 22, 1947. Their marriage was one of a kind- everyone thought of them as “Phyllis and DeArmond” – couldn’t think of one without the other. They celebrated 70 years, 7 months, and 12 days of marriage prior to DeArmond’s passing July 4, 2018. Family, faith, friends and fun were at the core of Phyllis’s life. She and DeArmond were blessed with two children; Sonja Bockes Morton (Stephen) and Monte Bockes, two grandsons; Shane Morton (Brina) and Trevor Morton, and two great grandsons, Jackson and Chase Morton. They were the joy and pride of her life. Phyllis spent most of her working career in Sheridan with Portland General Electric where she greeted and assisted the public while making life-long friends, several of whom spent her final hours with her. To know Phyllis was to love her and be loved by her. She was the best daughter, wife, mother, grandmother, great-grandmother, sister, aunt, second-mom and friend you could ever want. Following Phyllis’s stroke, literally hundreds of messages began coming into her family. The theme was consistent, “Phyllis Bockes was the kindest, most fun, loving person they’d ever known”. Phyllis would have brushed all the accolades aside, but she deserved them and more. We will forever remember her kindness, her smile, her ability to make everyone feel like family, her sense of fun and her generosity. She loved to entertain (her Christmas parties were legendary), go camping, dig clams, dance, roller skate, bowl, play cards and host the best tailgaters. She was a wonderful cook and made the best apple pie to top off her Beavers tailgate parties. Her coffee pot was always at the ready and her door was always open. Everyone was welcome to drop by anytime. If it was dinner or lunch time, Phyllis just pulled up more chairs and, as she said, threw a few more beans in the pot. She made everyone feel welcome and like they were family. 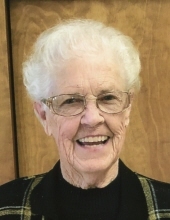 Phyllis was a lifelong member of the Trinity Lutheran Church in Sheridan. Her faith was at the core of her being, and she lived it through her generosity and kindness to others. As she would have loved, her last breaths were taken while prayers were being said for her. She missed DeArmond so much after his passing. Her faith assured her that she would see him again, and she looked forward to that day. On March 10th, her desires were realized as she rejoined her husband and her God. We will miss her dearly, but memories of her will bring us joy for the remainder of our lives. She was truly an angel on earth. A Memorial Service will be held Saturday, March 23rd, 2:0pm, at the Trinity Lutheran Church in Sheridan. In lieu of flowers, please donate to either the Bridge Street Coffee House (229 S. Bridge St., Sheridan, OR 97378) or to the Sheridan Museum of History (142 S. Bridge St., Sheridan, OR 97378). To send flowers or a remembrance gift to the family of Phyllis Marian Williams Bockes, please visit our Tribute Store. In lieu of flowers, please donate to either the Bridge Street Coffee House (229 S. Bridge St., Sheridan, OR 97378) or to the Sheridan Museum of History (142 S. Bridge St., Sheridan, OR 97378). "Email Address" would like to share the life celebration of Phyllis Marian Williams Bockes. Click on the "link" to go to share a favorite memory or leave a condolence message for the family.